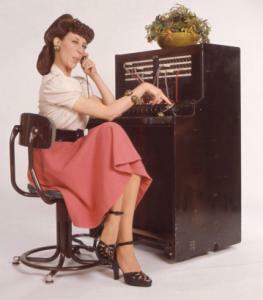 I am having difficulty with making outgoing calls. This doesn't always happen, but it is happening more often than I would like. I dial the phone for one number and it calls someone completely different. I look on the phone to make sure I have dialed correctly and the phone says I have, but I obviously have the wrong number; when I look online at the Ooma call log, it lists a different number, usually one or two numbers off. This happens when I call both in state and out of state. Can anyone help? It is very irritating and frustrating. That's a strange problem. Try calling the number at this site: http://www.testcall.com/222-1111.htm. It will echo back DTMF tones so you can hear if the correct number is being sent from your handset (see "DTMF echo" on the site). Maybe some of the buttons on your phone are not working correctly...DTMF sends 2 tones per digit dialed, it's possible one or more of your buttons are defective. That is why the problem happens intermittently.